How can we describe to others what is happening to us on our spiritual journey? How can we depict the spiritual road that we are taking—experiences of prayer, transitions that we travel through, impediments that we face—and externalize into words the interior experiences? In this spiritual lexicon, Andrew Mayes explores creative and inspirational metaphors to equip anyone wanting to communicate effectively about their faith or life of prayer. Learning the Language of the Soul is a handbook that will prove indispensable to spiritual directors, evangelists, and all sharing in the witness of the church today. It will loosen our tongues as we discover images from both the classic Christian tradition and contemporary culture that help us express and develop a spiritual literacy by which we share with others the joys and struggles of the inner life. Dr. Andrew Mayes is an international teacher of spirituality. He is currently spirituality adviser to the Anglican Diocese of Chichester in the UK, where he has also served as director of clergy training. He was the course director at St. George's College Jerusalem, and regularly leads courses in the Holy Land. He is the author of six previous books, including the widely acclaimed Beyond the Edge: Spiritual Transitions for Adventurous Souls. These pages offer wisdom, delight and an invitation-a creative exploration, a beckoning journey to bring alive our many encounters with God through symbol and imagery. 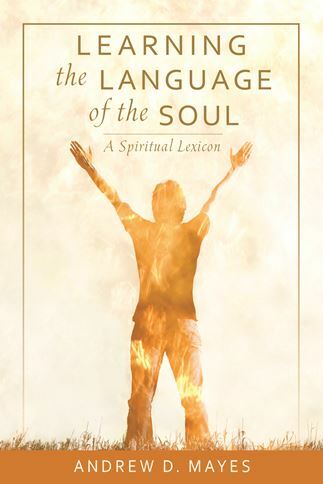 Learning the Language of the Soul offers words for the sometimes silent mystery we name as God-a soulful, rich resource for spiritual directors and all seekers. Many of us have known the experience in spiritual direction, both as director and directee, of struggling to put our feelings into words. Andrew has done us a huge service in this book. He brings his encyclopedic knowledge of the tradition, a rich and stimulating biblical scholarship and insightful reflection on culture to give us a deeper language to talk about spiritual experience. As with his previous books, his personal warmth and pastoral heart ground all this in the reality of everyday experience. All who seek a greater and more nuanced vocabulary to discuss spiritual experience will find much to benefit them in the book. To communicate effectively, it helps to have a text from which to draw and to which on can refer. Serving as just this sort of sourcebook, Mayes's text is, without a doubt, a useful, much-needed asset. It is an invaluable resource for those interested in developing and nurturing their conversations about spiritual journeys. Helping people come close to God is a task for all Christians but notably spiritual directors and evangelists. Learning the Language of the Soul is imaginative equipment for this task drawing on Andrew Mayes's breadth and depth. There is novelty in this book restating past wisdom and engaging with the connected generation.